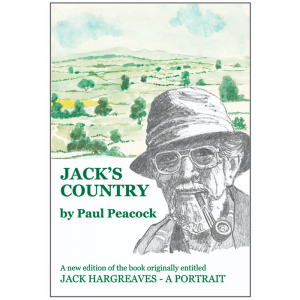 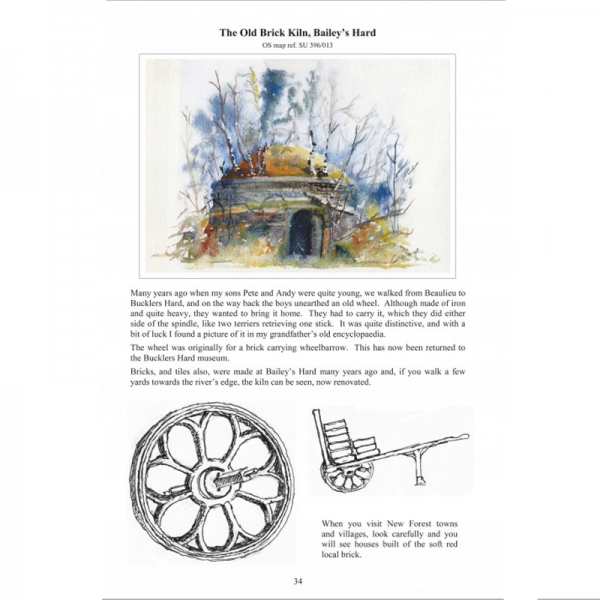 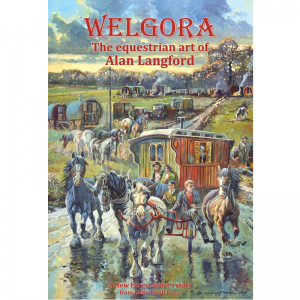 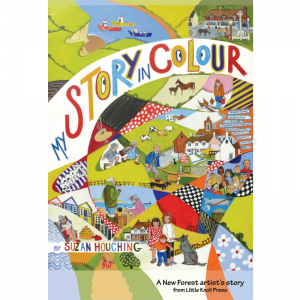 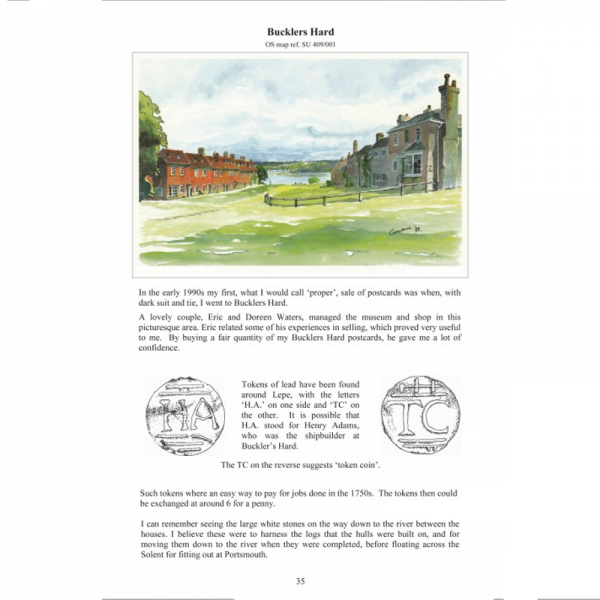 ISBN: 9780956535986 Gervase Gregory has been painting the New Forest and Waterside area and its people for the past half century, recording their stories in watercolour. 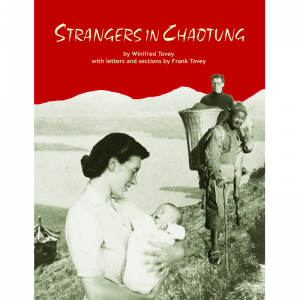 A Lifetime in Postcards contains 125 postcards and illustrations, alongside anecdotes, puzzles and poems, that portray a way of life unique to this corner of Hampshire. 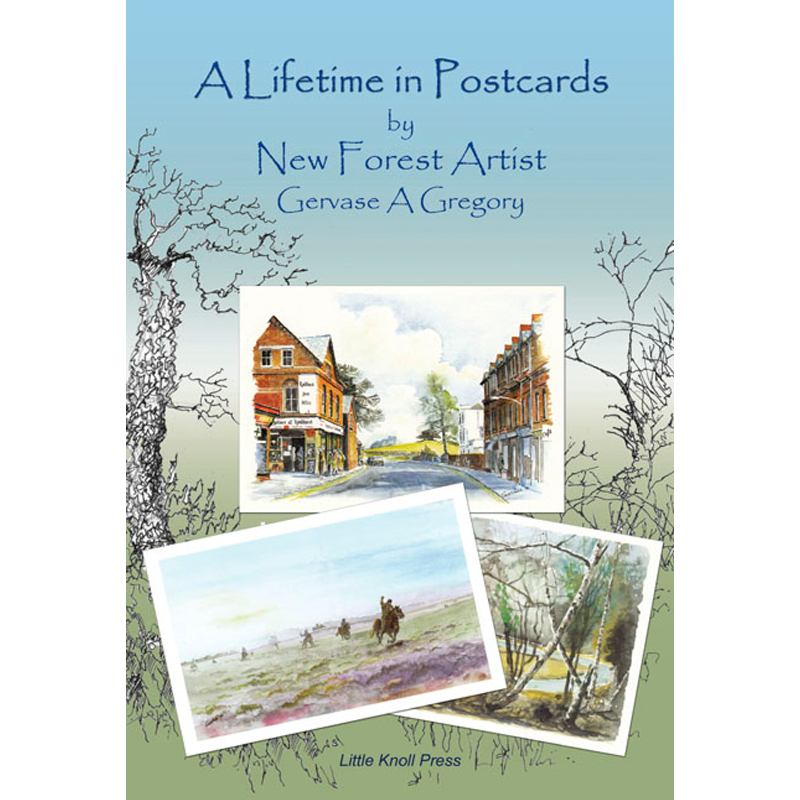 This beautiful, full colour, paperback book by New Forest artist and author Gervase Gregory is filled with postcards of his watercolour paintings, alongside further paintings, sketches, anecdotes, puzzles and poems that portray a way of life unique to the New Forest and Waterside area of Hampshire. 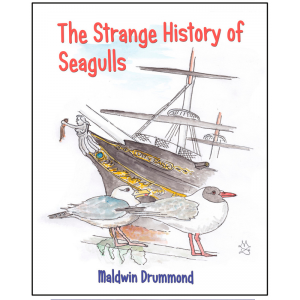 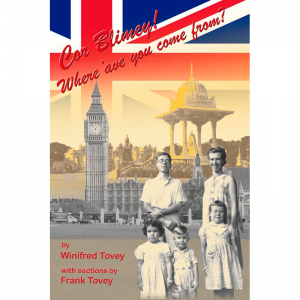 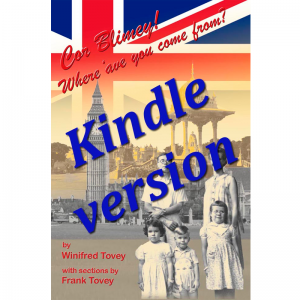 The book lightly covers Gervase’s life story and shows a deep understanding of the history and people of the New Forest and Solent shoreline. 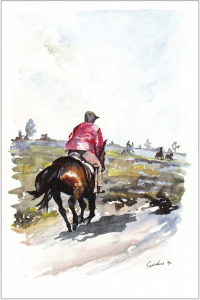 Colt hunting in the New Forest – watercolour by Gervase A Gregory. 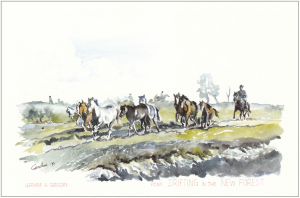 New Forest Drift – watercolour by Gervase A Gregory. 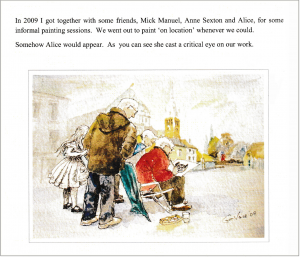 Alice joined the art class in Lyndhurst – part of a page in ‘A Lifetime of Postcards’.